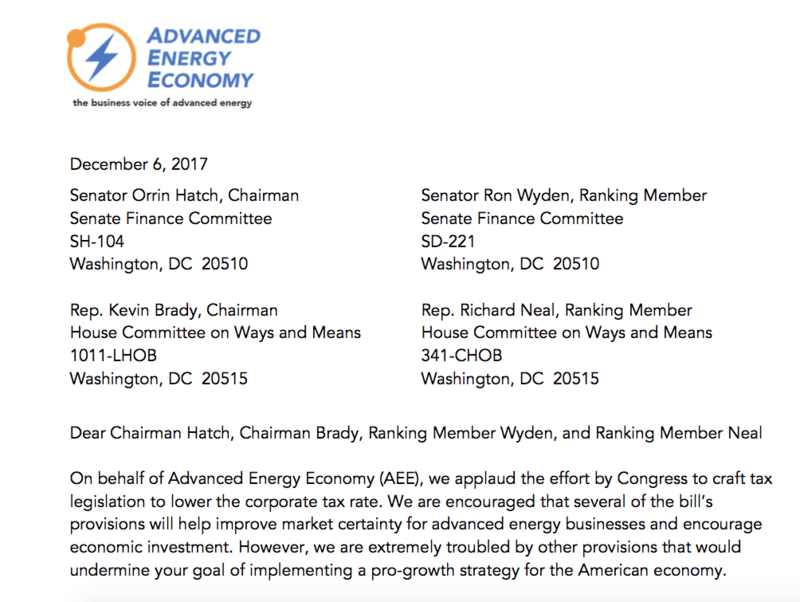 On Dec. 6, AEE sent a letter to U.S. Congressional leaders relaying recommendations on House and Senate proposed U.S. tax bills that will be reconciled for final legislation that is expected to be passed by yearend. We outline AEE members' concerns about specific provisions that could have serious impact on the $200 billion advanced energy industry that employs more than 3 million U.S. workers. Please fill out the form to download AEE's Letter on the Tax Bill.